Newest version of our popular and contest winning “Eggstravaganza” series of Egglofter Kits! Egglofter kits feature an aerodynamic & lightweight clear plastic egg cone, shock cords made of KEVLAR® and elastic & laser-cut G10 fins. The tapered silver shroud reduces drag while giving plenty of room for our "Over Easy"
parachutes! These kits have been used extensively in NAR competition and have helped modelers bring home many trophies! 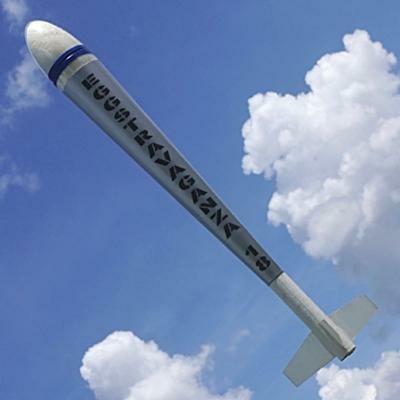 May be flown in either Altitude or Duration events. 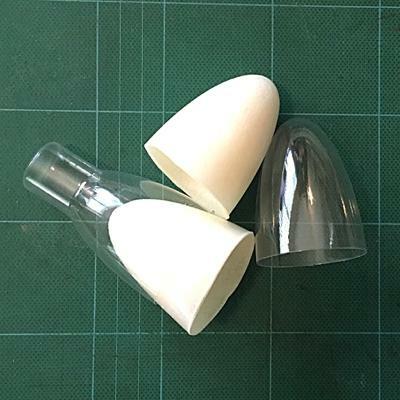 The egg cone has a section in the base that will fit some smaller altimeters and also comes with the option of using a sponge-like foam egg protector that conforms to the inside of the cone and to the egg. 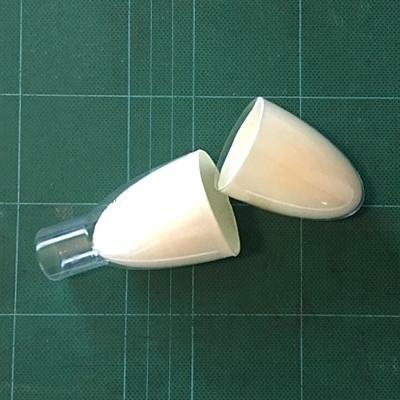 The egg protector gives superior protection against breaking the egg and also makes mating the two pieces of the egg cone much easier. We give you the option of getting the kit without the egg protector and using your own padding, but we highly recommend the use of the foam egg protector! The parachute size included with each kit is a good all-around size for the model size, but you may want to use a larger or smaller size depending on flying conditions and the event being flown. You can see other sizes of "Over Easy" 'chutes available by clicking here. Also you can read an article on selecting eggloft parachutes by clicking on this link. Adhesives – a thin or medium viscosity cyanoacrylate ("CA") glue can be used for most steps and is recommended; quick-setting (5 min.) epoxy is recommended for some steps; rubbing alcohol; 1/2" wide double-sided cellophane ("Scotch") tape; 1/2" wide electrical tape; hobby knife with a sharp #11 blade; needle-nose pliers; sandpaper (medium - 220 or 280, fine - 320 or 400, & [optionally] extra fine - 500 or 600); pencil; felt-tip marker; 1/2" to 3/4" diameter wooden dowel (or similar, see instructions). Recommended, but not required: sanding block; extender tip for cyanoacrylate glue. Optional: accelerator for cyanoacrylate glue; metal angle (see instructions); heat source (see instructions). Engine and igniter (see recommended engine list, if flying in a competition be sure to use the impulse that is appropriate for the event being entered); masking tape; recovery wadding; 1/2" wide electrical tape; a large, raw chicken egg. 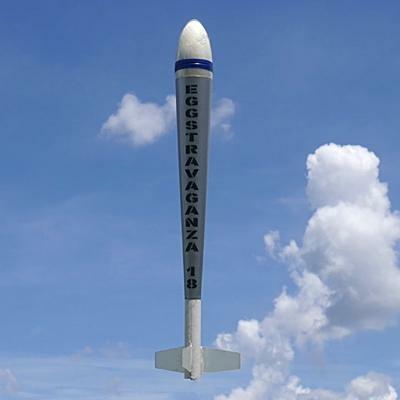 If you are not using the optional Foam Egg Protector you will also need a thin plastic sandwich bag (“Baggie”), cellophane ("Scotch") tape, and foam rubber (or similar padding material, see instructions), electronic launch system and launch pad.